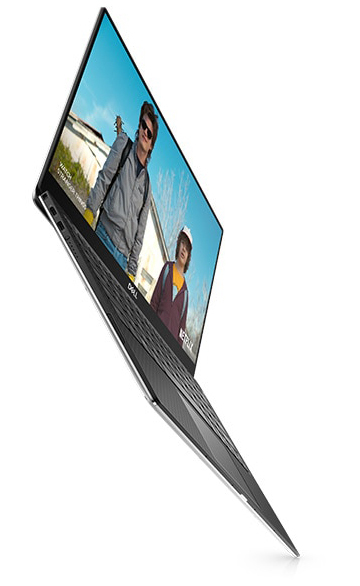 The world's smallest 13-inch laptop* with an 8th Gen Intel Core processor and immaculate 4K UHD display, in a super-slim build measuring only 0.3-inch thick. The 13.3-inch display delivers stunning 3840x2160 resolution, true-to-life color, and touch capability for intuitive interaction with your OS and programs. Two Thunderbolt 3 ports support charging, connect to external displays, and transfer data at up to 40Gbps. And it's built with premium and durable materials, including a machined aluminum unibody, carbon-fiber palm rest, and ultra-tough Corning Gorilla Glass 4 screen. * Smallest: Based on a November 2017 Principled Technologies Report sponsored by Dell. CinemaColor: Visuals appear every bit as vibrant as the world around you. Engineered with best-in-class panel technology, combined with advanced hardware and software to power content with a superior dynamic range – delivering the deepest blacks, the most dazzling brights and more vivid detail across the entire color spectrum. CinemaStream: Killer Wireless channels maximum bandwidth to your videos or music for a seamless, stutter-free experience. CinemaSound: Waves MaxxAudio Pro boosts volume and clarifies every tone, so you experience studio-quality sound. Less border, more pixels: Dell has improved every part of the display. Enjoy a screen that seems endless with a 23% thinner InfinityEdge border—just 4mm wide for an 80.7% screen-to-body ratio. See every detail you didn't know you were missing with optional 4K Ultra HD resolution that packs in 8 million pixels. Picture perfect: By maximizing the color spectrum with 100% sRGB color and a 1500:1 contrast ratio, every shadow takes shape and even the brightest scenes gain definition. 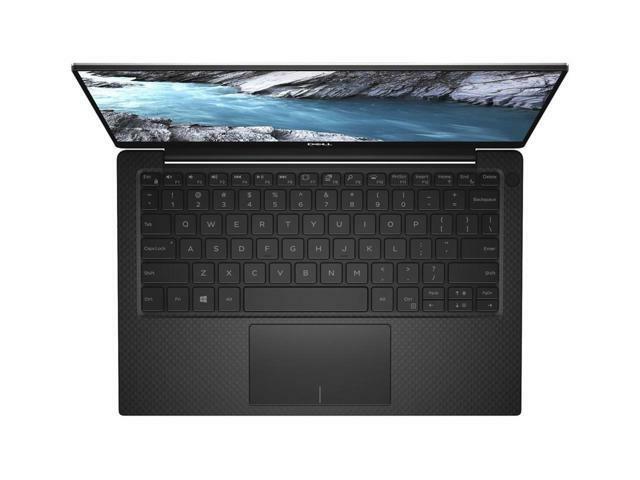 World’s smallest 13-inch laptop: Your entertainment can go with you everywhere—starting at just 2.67 pounds, the smaller, thinner, lighter XPS 13 is ready for take-off. Perfectly-sized for airplane tray tables, you won’t even notice when the passenger in front of you reclines their seat. Star performer: With new 8th Gen Intel Quad Core processors, more cores means increased performance, even with multiple applications running. Plus, Dell Power Manager, engineered by Dell, allows you to select the power mode that dynamically delivers the maximum amount of power from your processor, while intelligently monitoring and managing system temperatures. Add it all up and you get an amazingly powerful 13-inch laptop. Work or play longer: You'll experience incredibly long battery life—up to 19 hours, 46 minutes* on a Full HD model when using productivity applications like Word or Excel. 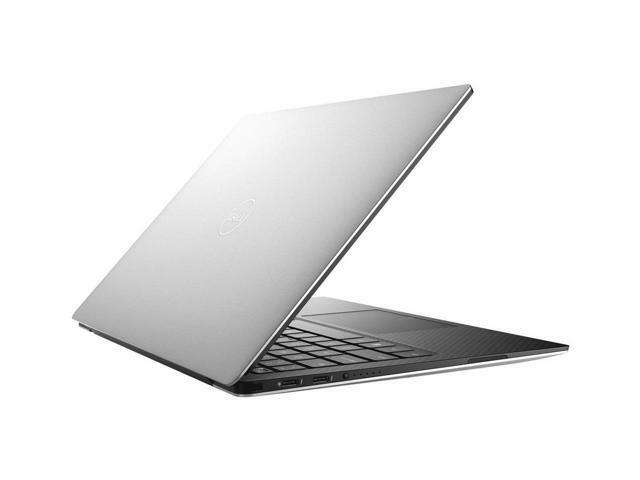 * XPS 13 tested with 8th Gen Intel Core i5, 4GB RAM, 128GB SSD and FHD display. Based on testing using the Mobile Mark 2014 battery life benchmark test. Actual battery life may be significantly less than the test results and varies depending on product configuration and use, software, usage, operating conditions, power management settings and other factors. Maximum battery life will decrease with time. Faster memory, more storage: Your system boots and resumes in seconds thanks to up to 1TB of solid state drive storage. Multi-task in a flash even on intense applications with up to 16GB of memory. 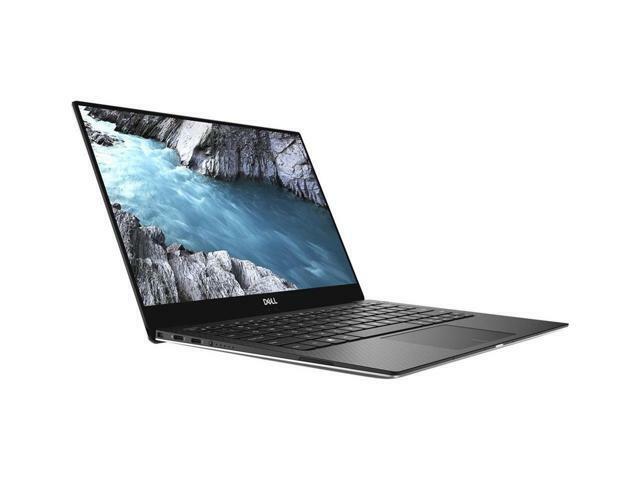 White hot: Inspired by runway trends, the rose gold version of the new XPS 13 debuts an authentic alpine white woven glass fiber palm rest developed specifically for Dell. 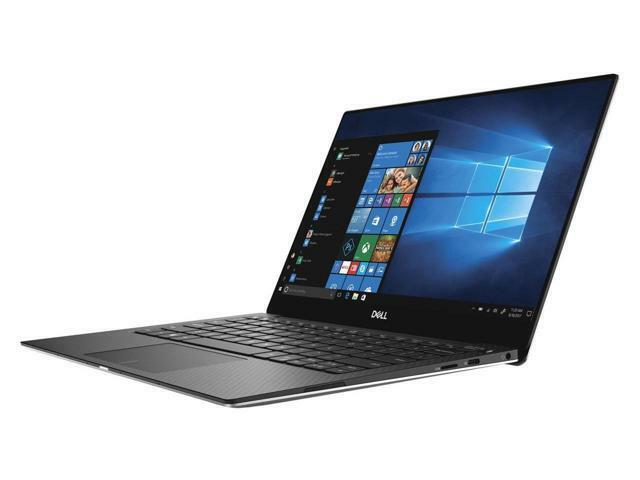 Dell’s design team worked tirelessly to get the details just right—carefully crafted backlighting, UV- and stain-resistant coating to prevent yellowing over time and staining, and coordinated packaging and accessories. 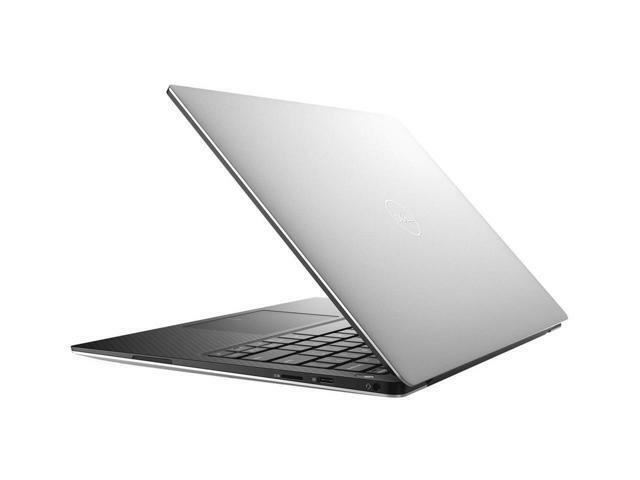 Stunning strength: The XPS 13 is cut from a single block of aluminum, so it’s more durable than a machine that’s pieced together. Inspired by the aerospace industry, the carbon fiber and woven glass fiber of the palm rest allow for maximum strength and minimal weight. Corning Gorilla Glass 4 is twice as damage resistant compared to competitive products. Small details, big impact: Aesthetically, less is more. So Dell has inlayed a stainless XPS logo, laser-etched the regulatory details and color-matched the feet for a sleeker look. The brightened platinum silver finish truly shines. 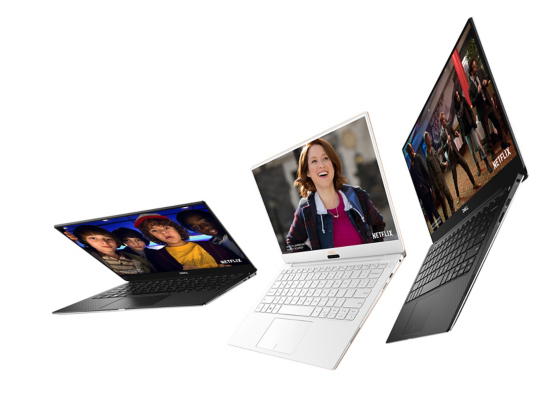 Cooler than ever: The XPS 13 is the first laptop built with GORE Thermal Insulation, which provides thermal conductivity levels lower than air in a thin, flexible format, to keep your laptop cool while it works hard. 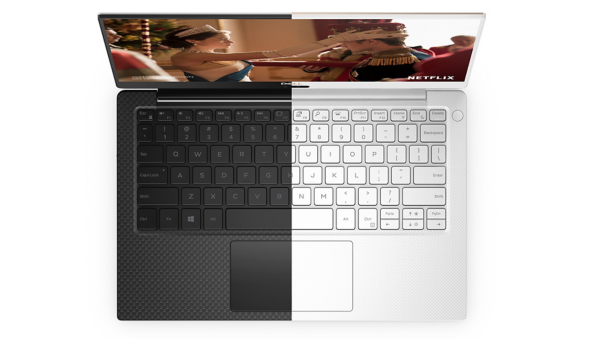 While the Gore insulation directs heat out of the device, dual fans and heat pipes to further lower the temperature of your XPS, enabling greater performance in a thinner form factor. You are the password: Choose between two secure, personalized ways to log on. The infrared camera with Windows Hello recognizes your face, unlocking your XPS with secure facial recognition technology. The fingerprint reader integrated into the power button lets you log on with just a touch. Strike up a conversation: Your XPS 13 responds to your voice from up to 14 feet away, thanks to four built-in mics, Microsoft Cortana and Waves-enabled speech technology. Control playlists and access schedules regardless of background noise. Leading-edge connectivity: The Thunderbolt 3 multi-use Type-C ports allow you to charge your laptop, connect to multiple devices (including support for up to two 4K displays) and enjoy data transfers up to 40Gbps - 8 times that of a USB 3.0*. * Available only with Windows OS. 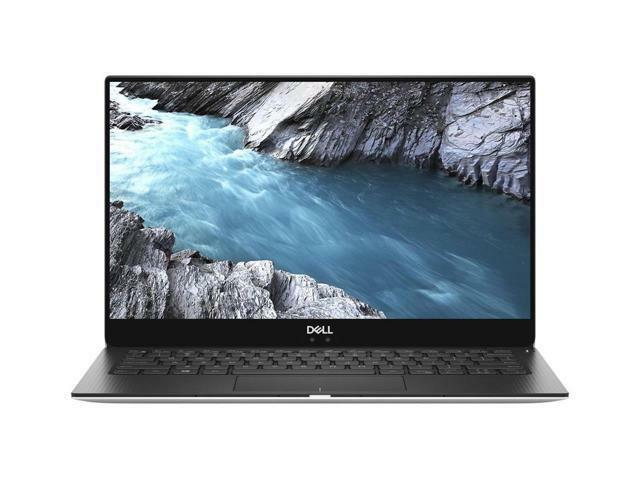 Advanced docking: The XPS 13 can be used with Dell docking solutions, featuring single-cable connections for power, Ethernet, audio and video. Add the optional Dell Thunderbolt Dock for faster data transfers and support for up to three Full HD displays or two 4K displays. Saving our seas: Recognized by CES with a "2018 Best of Innovation Award," Dell’s black packaging trays are a step beyond recycled. Twenty-five percent of the material consists of ocean plastics collected from coastal areas, while the remaining 75% is made up of other recycled plastics. 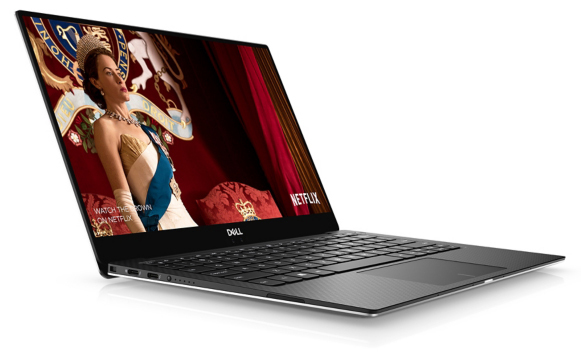 Power efficient: XPS 13 is ENERGY STAR certified. Smarter materials: Free of materials like cadmium, lead, mercury and some phthalates, it’s also EPEAT Gold registered* and BFR/PVC-free**. * EPEAT Gold registered in the U.S. EPEAT registration varies by country. ** XPS notebooks exclude BFRs and PVC from the core product per the INEMI definition of BFR/PVC Free. External adapters, power cords, peripherals and service parts may be excluded unless otherwise specified. Recycle-friendly: 90% of the laptop’s parts can be easily recycled or reused, and the white bamboo packaging trays are 100% recyclable. This item is covered by AVALLAX Return Policy.